It’s hard to remember a time when birth control was considered taboo. Nowadays, women are empowered by their sexuality and you can choose from a variety of contraceptive methods that are designed to protect you from an unwanted pregnancy. With this freedom comes your responsibility to understand the implications your routine prescription medications might have on the effectiveness of your contraceptive method. You want to be smart about your contraception plan and you want to adhere to your prescribed medications. To determine what antibiotics make the hormonal pill less effective, you need to understand how it works and what prescriptions might trigger birth control interactions. In its simplest form, and when taken correctly and consistently, the pill is designed to prevent pregnancy, helping block the release of eggs from your ovaries, which normally result in monthly ovulation, therefore increasing your ability to conceive. These antibiotics are typically administered to treat a range of conditions from strep throat and sinus infections to severe acne and urinary tract infections. Coincidentally, the pill may make other drugs less effective, such as pain relievers and blood pressure medications. 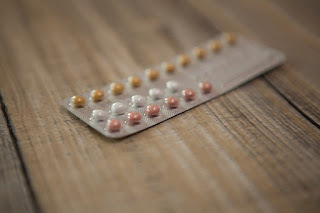 Several natural, over-the-counter remedies don’t mix well with hormonal birth control pills and should be avoided if you are looking for contraception effectiveness. These include St. John’s wort, alfalfa, garlic pills and flaxseed. It’s a good rule of thumb to speak with your health care provider to understand any possible reactions you might have and if it’s in your best interest to investigate alternate medications while you are also on the pill. You’re so worried about taking your antibiotics that you’ve forgotten to take your pill! Don’t panic! When taken correctly, the pill is proven to be up to 99 percent effective in preventing pregnancy. This statistic assumes you are taking your pill every day around the same time. If you miss one pill in the pack or start a new pack one day late, you’re still protected against pregnancy and don’t need a back-up form of contraception. Take the last pill you missed, even if that means taking two pills in the same day and carry on taking the rest of the pack as normal. If you miss two or more pills in the same cycle, refer to the medication’s instructions. If you still aren’t sure what to do, continue to take your pill and use an alternate method of contraception. Place a call to your ob-gyn to discuss your situation and what your next steps should be. If you are on antibiotics, continue taking them as prescribed, but address any concerns with your health care provider. While there are those in the medical community that feel more research is needed to determine the risks associated with prescription medication and birth control interactions, there are a limited number of antibiotics that have been deemed to change the effectiveness of hormonal birth control. If you have any doubts, you should consider using a back-up form of birth control, such as a condom or diaphragm. We encourage you to contact us to discuss your contraceptive options and to learn more about possible medication interactions.